his use of widely disparate materials in his sculpture, and the rough, unpretty nature of his art. His work is difficult, intellectual, challenging, surprising- it doesn’t fit into a movement or category and is not readily accessible. 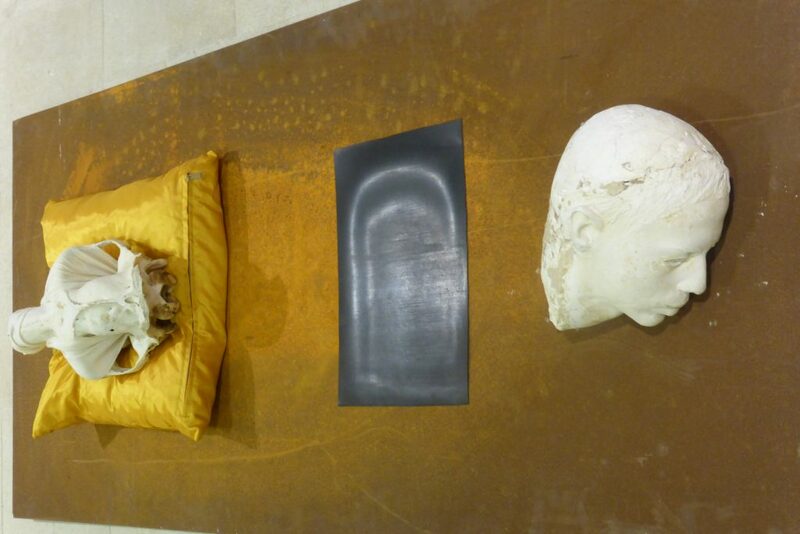 That being the case, I chose to relate to several specific elements: Beuys’ frequent use of the floor for displaying his pieces; his recycling of found objects; his unexpected combinations; his awareness of the textures of surfaces, both whether reflective gilt brass or matt iron; his adoption of unfamiliar art materials and his ready inclusion of organic substances. I have combined several of his characteristic elements to produce this tribute in the spirit of Joseph Beuys.